Aside from Eagle Scout, merit badges are probably the most visible and iconic part of Scouting to those not involved in the program. “Did you get a merit badge for that?” is sometimes asked when someone does an extraordinarily good deed – a social currency akin to earning “brownie points” for anything from volunteering for an assignment to trying to impress the boss. 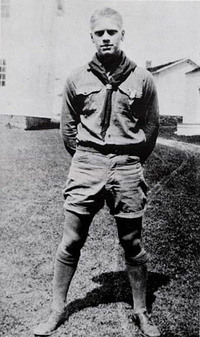 Merit badges are part of a Scout’s advancement, though not the entire program as some may believe. Aside from the dozen-plus Eagle-required merit badges, there are more than a hundred additional ones that allow a Scout the chance to explore a wide spectrum of interests, skills and potential careers. They combine the method of advancement with the method of adult association in giving Scouts an opportunity unavailable anywhere else. I mentioned adult association because without adults, there would be no merit badge program. This is due to the fact that in order to earn a merit badge, a Scout must work with an adult counselor who guides him, shares knowledge and provides resources, and gives final approval to the process. In most other aspects of Scout advancement, boys teach and learn from each other and do for themselves, rather than being instructed and tested by adults. With adults playing such a pivotal role in the Boy Scout program, it’s important for our districts and councils to recruit counselors for the merit badges offered by the Boy Scouts of America. And this is where people from all backgrounds and walks of life can share their knowledge with today’s youth – by becoming a merit badge counselor. Fortunately, the process is straightforward. The main requirements are to have knowledge of a particular merit badge’s subject matter, and to be willing to share their knowledge with youth, following the BSA’s rules and guidelines. And the first step is to register as a merit badge counselor with the local council. The first step is to take the BSA’s Youth Protection Training course. This is done online, by going to http://my.scouting.org, creating an account, and from the home dashboard, selecting Youth Protection Training. After completing the course (which takes about a half-hour), print the certificate of completion. Complete the adult application form, indicating at the top the name of your local council (leave the unit number blank), filling in the number 42 for the position code, and Merit Badge Counselor for the Scouting position description. Don’t forget to complete the questions on the right side of the form and the Disclosure/Authorization form facing the first page of the application. Your council, or most likely your district, advancement committee will need to know which merit badges you are interested in counseling. There’s another form for that – it’s the Merit Badge Counselor Information Sheet. This form has spaces for your contact information and for the names of the merit badges you wish to counsel, along with a place to put a brief description of your qualifications in the subject areas. Once both forms are completed and you have your Youth Protection Training certificate, contact your council service center to find out how you should submit them. Each council is likely to handle things a bit differently – in some, you might turn everything in at the council office; in others, you may need to contact your district professional or a member of the district advancement committee. There is no fee required to be a merit badge counselor. You might not hear anything from the council after your application is submitted and you are accepted as a merit badge counselor (you’re more likely to hear if you happen to be rejected), so sign back in at my.scouting.org in a couple weeks just to see if you are listed as such. You’ll also be issued a BSA ID number, which you’ll want to enter into your my.scouting.org profile so your training will track. There are two more important things you’ll want to do before you start meeting with youth. One is to read the Guide for Merit Badge Counselors online and, if offered, take the Merit Badge Counselor Orientation class in your area. Many districts offer the training regularly. Unfortunately, this training is not yet offered through the online training portal at my.scouting.org. 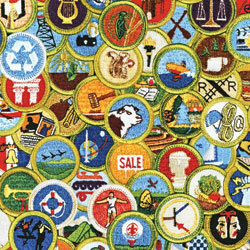 Finally, become familiar with the section on merit badges in the Guide to Advancement. This is the authority on the merit badge system, and you should know the rules. And, you’ll want to read the Merit Badge Counselor’s Compass, a quarterly publication that updates counselors on the latest in the program. Becoming a merit badge counselor allows everyone to help today’s youth become tomorrow’s leaders by sharing their knowledge with our best and brightest young people through the Boy Scout program. Previous PostPrevious The “what” comes immediately. The “why” takes longer.